Description: The problems of implantation of the remote form of tutoring in a system of military education surveyed. Tkachenko, V.I., Hinevskyi, M.I. and Haidarov, S.Yu. 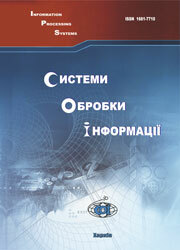 (2002), “Dystantsiina forma navchannia u systemi viiskovoi osvity”, Information Processing Systems, Vol. 6(22), pp. 35-39.